|A major environmental concern in Maasai (Masai) Mara is the proliferation of unplanned development in the adjacent community/ group ranches. Currently there are approximately 108 properties in greater Mara with a bed capacity of 4000. A large proportion of the properties are in the community group ranches. Game lodges, tented camps, private houses and campsites are all found in Mara. Are you spending the night inside or out of the Masai Mara? Fly Kenya Airways to Nairobi (NBO) and connect to Masai Mara anytime any day from anywhere: Book a airline flight to Nairobi (NBO) on Kenya Airways. 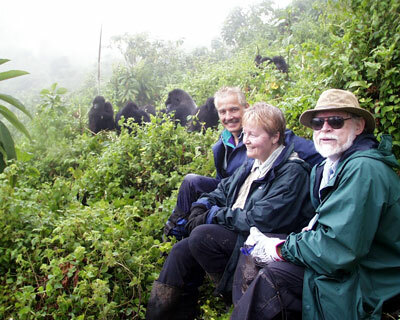 For Big Game safaris combine 9 days 8 Nights Kenya Highlight with 4 Days 3 Nights Rwanda Gorillas Safari. are organized in both Maasai (Masai) Mara and Serengeti National Parks. The duration of the safari depends on various factors but mostly on time and budget but also the flexibility of the guest. The all drive 11 days Masai Mara Serengeti/ Ngorongoro/ Manyara Migration Safari commences from Nairobi and returns to the same via Maasai Mara, Serengeti, Ngorongoro, Manyara, and Amboseli. The 8 days fly drive Wildebeest Migration Safari Masai Mara National Park (Mara Explorer 8 days) is a luxury option. Guests fly from Nairobi Wilson to Masai Mara and return to the same. The 4 days 3 Nights Migration safari combines Masai Mara, Lake Nakuru National Park and Lake Naivasha. The 6 days Best of Tanzania Safari focuses on wildebeest migration in Serengeti National Park. The best time to witness migration in Masai Mara National Park Kenya, is between July to September. Serengeti National Park is best visited between March and May. Game lodges also called safari lodges, tented camps, private houses and campsites are all found in Mara Game Reserve. The tented camps and safari lodges in Masai Mara fall under three categories- luxury, mid range and budget. While only 12 properties are inside the Mara reserve others are in the neighboring group ranches. Does it matter where you spend the night while in Mara? Yes. If you are interested night game drives and lots of local culture then you can stay in the group ranches. Group ranches are privately run by the local people. However unplanned development coupled with large number of visitors threatens the very survival of the reserve. Large numbers of visitors are associated with high degree of pollution in terms of noise, dust and changed animal behavior which can lead to extinction of venerable species like the cheetah which hunts only during the day. AS of now Masai Mara has 108 properties with a abed capacity of 4000. Our aim is to feature as many properties as we can focusing on their location (Inside or outside the reserve), prices and facilities. Masai Mara National Reserve( National Park) is divided into three sectors- Mara Triangle, Musiara and Sekanani. The fourth and unofficial sector comprises of the community, group and private ranches surrounding the park- Koyaki Group Ranch, Lemek Group Ranch, Siana Group Ranch, Olderikesi Conservancy and many more are coming up. Accommodation properties-lodges, tented camps, hotels or mobile campsites are mushrooming in these conservancies at an alarming rate, endangering the very existence of the ecosystem. Only Twelve(12) properties are inside the park. That means all the rest are either in private ranches or local Maasai Ranches. Those found inside are distributed as follows. In the Mara triangle are Governors camps- Little Governors, Mara Ol Kuruk and Mara Serena Lodge. Governors camps are some of the most exclusive properties in Masai Mara. Comprising of 17 luxury en-suite tents with wooden deck verandahs the Governors camp is reached by a boat ride across the Mara River, then an escorted walk through the forest to the camp grounds. With vehicles parking away the campsite is quite. Mara Serena Lodge comprise of 74 rooms styled in traditional Maasai “Manyatta. Has swimming pool, gift shop, forex facility. Offer laundry, baby sitting, beauty therapy and massage service. Rooms designed to blend seamlessly into the landscape with magnificent vistas from their private verandas. Rooms feature spacious bathrooms. In Musiara sector are Governors Private, Governors Camp and Governors Il Mora. Other tented camps include Rekero, Kichwa Tembo and Mara Explorer and Mara Intrepid. The only lodges in this section are Ol Kuruk and Serena. In the Sekanani sector are Keekorok Lodge, Nairob Camp, Entim Camp, Sala’s Camp and Sarova Mara Game Camp. Little Governors Camp/ Lodge (low season USD 321 PP ; high USD 559 pp sharing; Mid USD 459 pp sharing ). Governors Il Moran Camp (Low USD 355 PP sharing ; High USD 622 PP sharing; Mid USD 508 pp sharing). Governors Private Camp (Low USD 355 PP sharing; High USD 622 PP sharing; Mid 363 pp sharing). Full Board Rates Mara Keekorok Lodge ( Low USD 85; High USD 170 PP sharing; Mid USD 150 pp sharing ) depending on season of travel. Siana Springs Tented Camp: Siana means “plentiful” in local maa language. Siana accounts for a large number of springs and hence the name. The permanent tented camp is located on the edge of Mara Reserve inside Siana group ranch. Has 38 tents with a swimming pool. Tents are en-suite with showers and flush toilet. 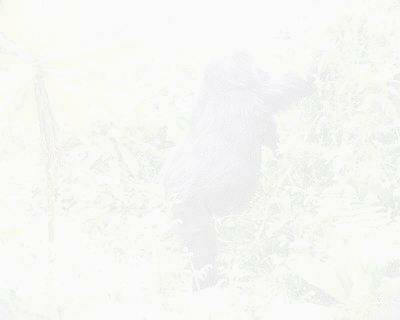 They offer day and night game drives, bush walks, balloon safaris, and aromatherapy. Has a private airstrip. Olderikesi Conservancy is for exclusive use of Cottars with two properties- Cottars 1920 Safari Camp and Little Cottars Camp. Ol Kinyei Conservancy has Mara Porini Camp. Porini Lion Camp is located inside the Olare Orok Conservancy. The continued existence of Maasai Mara lies in balance. Unless urgent action is taken, the unchecked human development inside and outside the park is likely to suffocate the reserve. The large crowds witnessed during the annual migration, the dust and continued noise from lodges, vehicles and balloons will lead to changed behaviour of animals, environmental degradation and eventual death of Mara as a valued tourist destination. Maasai Mara offers good opportunities for camping. Acacia Camp, Simba Camp, Aruba Camp & Safaris, Riverside Camp have permanent tents offering basic accommodation with hot showers and meals at affordable prices. Every year, in the months of July August and September, over 1.7 million wildebeests accompanied by about 800,000 gazelles and Zebras migrate from Serengeti into Maasai (Masai) Mara and back. The river crossings are particularly dangerous as large crocodile lie in wait of unsuspecting animals, killing and maiming thousands of them. Besides predation, migrating herds have to contend with flooded rivers and disease outbreaks. The wildebeest mate in Maasai Mara and Calve in Serengeti. All the 'Big Five' of Africa: Lion, Elephant, Buffalo, Rhino, and Leopard are represented in Maasai (Masai) Mara. Bird life is exceptional in Masai (Maasai) Mara with large number of raptors and scavengers. The permanent Mara River with its tributaries, the Sand and Talek Rivers, ensures a continuous supply of water making Masai (Maasai) Mara a permanent sanctuary of many animals throughout the year. "The annual Maasai (Masai) Mara /Serengeti wildebeest migration is not about wildebeests migrating per se but rather its influence on the movement patterns of the other animals including human beings"
"With an area of 1500 Km2, the Mara ecosystem has one of the richest assemblages of wildlife in the world and supports about 237 herbivores per km2 , making it one of the most productive natural terrestrial ecosystems. It maintains the greatest and most spectacular large mammal migration on earth and is the most highly visited tourist area in the East African region. The Masai Mara National Reserve came into being in 1961"
"Masai Mara National Park Lodges>>Masai Mara National Park Accommodation/ Reserve/ lodges/ Tented Camps"